Well, Easter is over for another year and if you’re anything like me, you’ve eaten way too much chocolate. 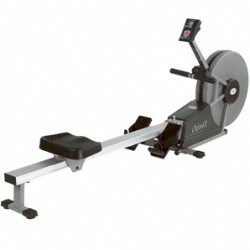 One of my favourite pieces of equipment for the post-Easter period is the rowing machine. Benefits heart and lungs with superb cardiovascular conditioning. Is a time-efficient form of exercise and an excellent stress-reliever. Is weight-supporting and non-jarring and so is ideal for rehabilitative exercise. It is a lifelong exercise, suitable for people of all ages. Fan forced resistance, with ultra smooth, ultra quiet fan blades. Computer display featuring: time, distance, calories, speed, strokes/min, tension, stroke count. Available for $132 per month or $1395 outright (we do recommend hiring before you buy). 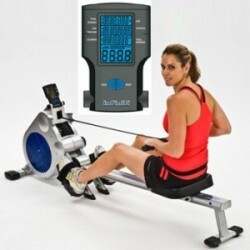 You can get your hands on one of these great rowers from Sinclairs Fitness for $99 per month or $895 outright. The Infiniti R203 Rower is our budget option – it doesn’t have many of the fancier features, but if your budget is tight it’s still a good piece of equipment. It’s all yours for $99 per month or $623 outright. 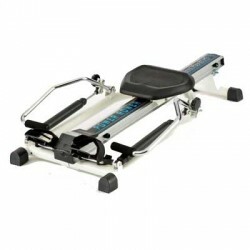 We have so many more options in rowing machines, as well as other pieces of cardio equipment. Come in store and check them out!